The psalms are masterful poems that echo the tenors of community life and worship as they project the scope of the human drama from lament to praise. They chart a profound and vital relationship with God, with all the ups and downs that this relationship implies. Konrad Schaefer's concise commentary on the psalms relates their poetic elements while respecting their historical context and traditional use in the liturgy and, more importantly, their ultimate value as a springboard to private and communal prayer. 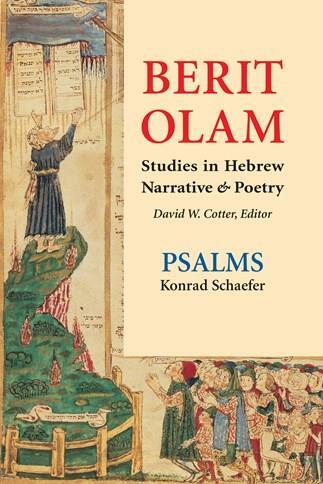 In Psalms, Schaefer focuses on the structure of each psalm, its dramatic plot, the modes of discourse, the rhetorical features, and the effective use of imagery to portray theology and the spiritual life. Schaefer portrays each poem's inner dynamic to acquaint readers with the poet and the community which prayed and preserved the composition, allowing the believer to transpose it in the contemporary situation. Chapters are "Introduction," "Book One (Psalms 1-41)," "Book Two (Psalms 42-72)," "Book Three (Psalms 73-89)," "Book Four (Psalms 90-106)," and "Book Five (Psalms 107-150)." Konrad Schaefer, OSB, SSD, is a monk of Mount Angel Abbey, Oregon. He currently teaches at Our Lady of Angels in Cuernavaca, Mexico.